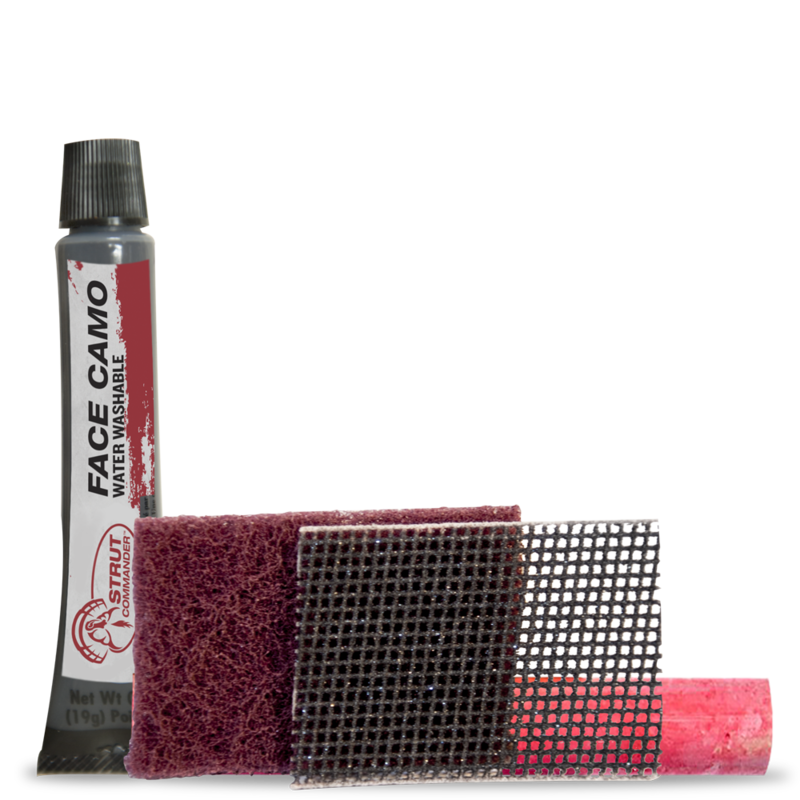 Sometimes it's the little things we miss- like the tools needed to condition/tune our calls or concealment for our face. The Strut Commander Ready kit provides those very basic, yet overlooked items. Our Face paint fits perfectly in your vest pocket so keep a tube there and apply/reapply when needed. Apply our chalk on the underside of the paddle of your box call to provide friction between the paddle and the sides - this stick of chalk should last you several seasons. Also in the kit, we provide 2 scuff medias for scratching the surface of your pot calls or cleaning the paddle of your box call: sand screen and scuff pad. We pride ourselves on making products that can be used by rookies, weekend warriors and seasoned pros alike. Don't forget to tag us on social media and we thank you for your support!! Application: Apply to clean dry skin with fingers. Removal: Wash with warm, soapy water or baby wipes.